Bürgi had been in the pop/rock band Balance achieving reasonable success in 1981 in the US Billboard Charts. He was recruited into Rainbow for the 1983 album ‘Bent Out Of Shape’, replacing former drummer Bobby Rondinelli. 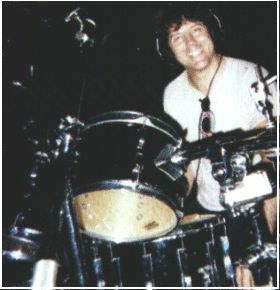 Bürgi was re-hired for the ‘Stranger In Us All’ tour until 1996, replacing John O’Reilly who’d completed the recording sessions for the album. He has been a successful session drummer for many years and is currently Billy Joel’s drummer since 2005.